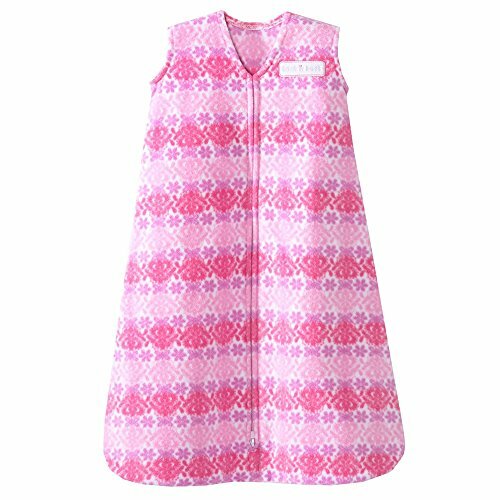 Halo SleepSack Wearable Blankets are the number 1 trusted choice of hospitals and are used to help babies sleep safely from the start. In addition to sleeping safer, it helps babies sleep better, too. It's a warm cuddly blanket they can't kick off; ensuring baby sleeps soundly throughout the night, with a unique, roomy sack design recognized by the International Hip Dysplasia Institute as "hip healthy." Inverted zipper opens from the bottom for easy diaper changes; sleeveless to reduce the risk of overheating; arm and neck openings sized for a safer fit.